I always understood how chapels are the most treasured spaces on convent grounds, but I noticed only recently how fifteen years in my religious community has gradually etched this reality on my heart. The other day was like many others. I was praying the Rosary while walking down a small hill toward the burial chapel at our motherhouse in Boston; but when I lifted my eyes, I was startled: the burial chapel looked somehow unfriendly. My reaction was surprising. I looked around and immediately saw the problem: four stumps were in place of towering trees that used to sweetly shade and frame our chapel. It was hard to anticipate how different the chapel would look when our superior had announced workers were to begin a much-needed renovation and expansion. As I continued walking, I told Our Lord of my shock and felt Him ask me to notice how this was symbolic of where my heart was in that moment. I’d been struggling for weeks to accept His answer to a sincere (and significant) prayer. The truth of His answer startled me. He reminded me of how my prayer was one made with surrender to His will and timing. I somehow knew He was going to grant the grace. But when it came, it . . . just looked different than I’d anticipated. So different. Sisters, we can all relate to the people in today’s Gospel who were shocked by Our Lord Jesus’ way. (Mark 6:1-6) But let’s ask for grace to not respond as they did, and instead allow God to be God. God’s ways are almost always different—at least, they are from what I expect! But when I pause to genuinely look at His work, I see how He doesn’t prefer to answer prayers with little graces. He wants to dig deeply and is willing to transform the landscape to fulfill the deepest desires of our hearts. Today is a wonderful occasion to celebrate God’s fidelity because we are ending this first month of the new year. Let’s ask the Blessed Mother and Saint John Bosco to pray for us. 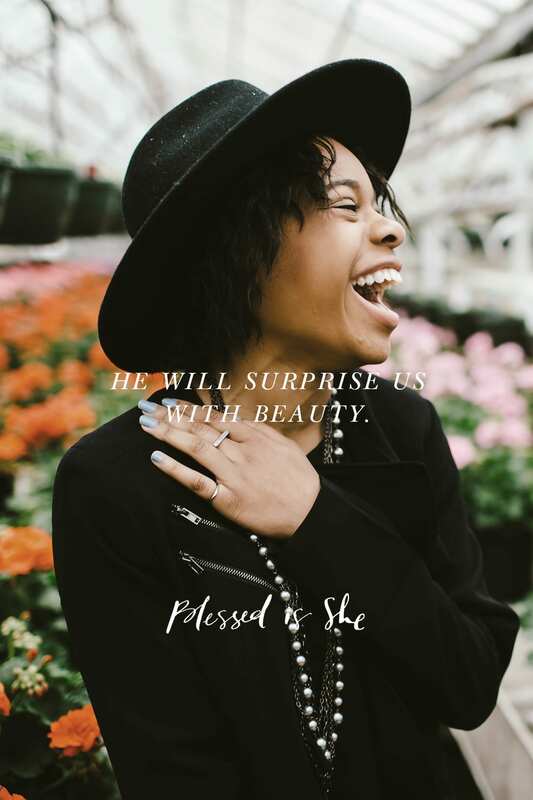 May we trust in God as our good Father who is willing to surprise us with beauty—if we have the courage to ask for eyes to see reality as it truly is and ourselves as we truly are: blessed. He wants to dig deeply and is willing to transform the landscape to fulfill the deepest desires of our hearts. How is your heart in accepting Jesus’ way, not yours? Are you struggling too? Take this struggle to a trusted spiritual advisor or friend. Ask Our Lady to help as well. Sister Maria Kim Bui is a Daughter of Saint Paul, women religious dedicated to evangelization in and through the media. She is originally from Tempe, AZ, spent most of her fourteen years in religious life in the northeast, and is part of a bilingual evangelization team of sisters serving in Texas. Find out more about her here. O dear Sister how this meditation has touched my heart this morning. I am moving into a new stage in my life that is on one hand very exciting and on the other hand unexpected. The last 3 days I have been deep in prayer regarding my readiness for God’s will in my life. To see his will and have the courage and trust to follow it. I find it difficult at times to sit quiet and let God unfold his will to me. I must remember to sit quiet with Him and trust that He will reveal all I need when I need it. As I sit quietly I am deeply moved by how blessed I am. Thank you for sharing your beautiful writing with us. You are in my heartfelt prayers. Ah I LOVE this! This is by far my favorite day this year. What beautiful insight on surrendering to the Father. I must say, I do miss having the readings included with the devotion, though!